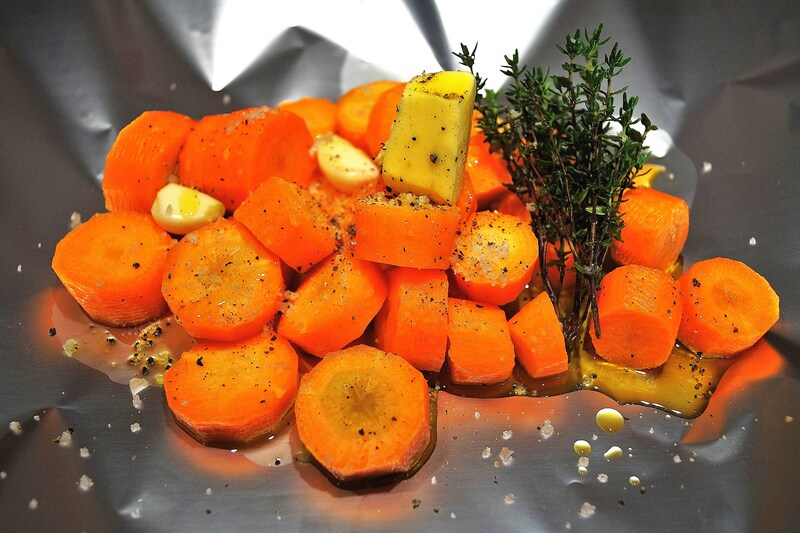 This is to me the best way to cook carrots.” Papillotte” which is often used to cook fish, works brilliantly with our favourite orange root. 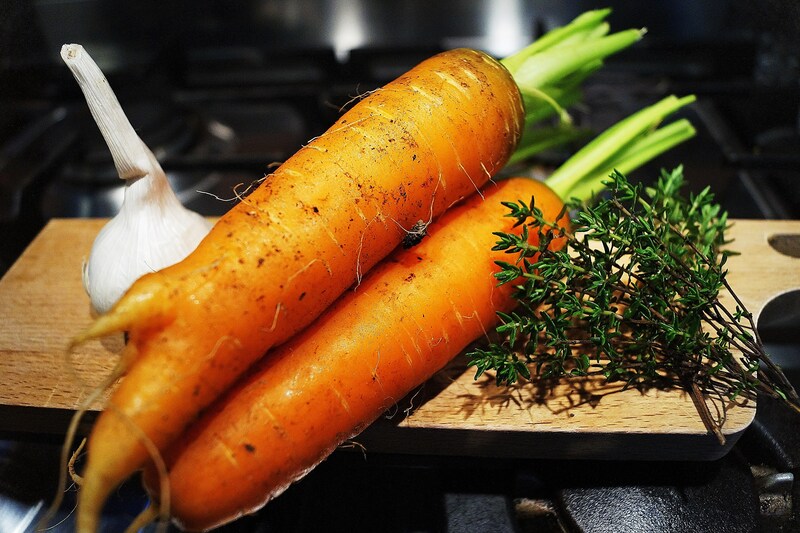 It will keep its colour, natural sweetness and if you forget about it, they won’t turn into a tasteless purée. 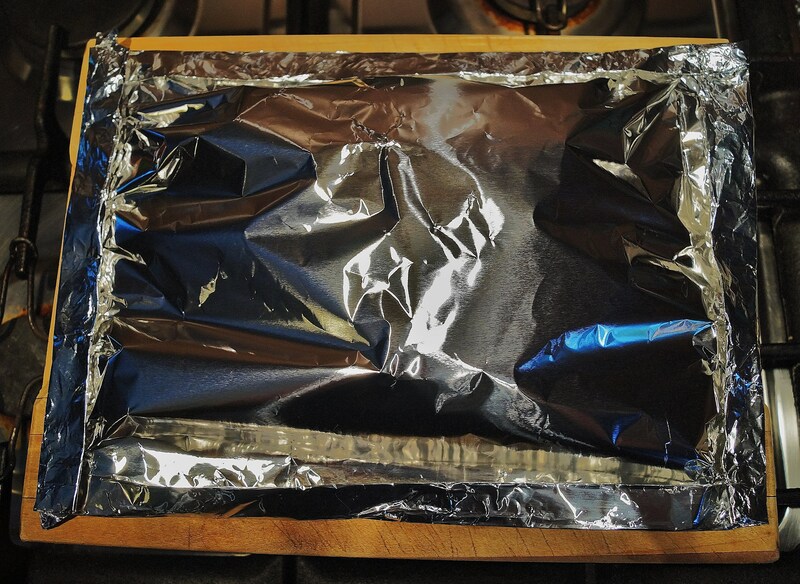 So remember to follow this few easy steps for your next Sunday roast! 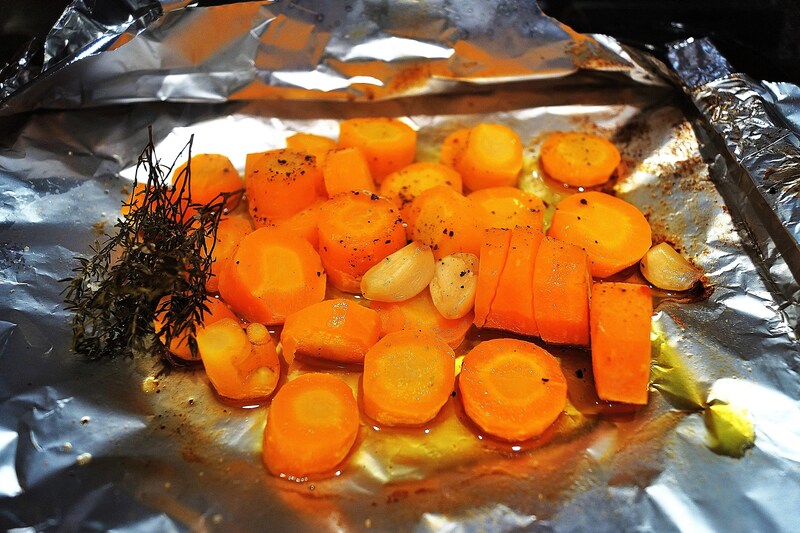 Use the other piece of tin foil and place over the carrots; fold at least twice, neatly now, the four corners until you get a pillow like rectangle. In the oven it goes for 25 minutes at 200c… If you go a bit over, don’t worry, that is the great thing about papillote cooking! Be careful before opening, it gets pretty hot. I just make an incision with a knife on the top layer… Do not try to unfold with your hands!